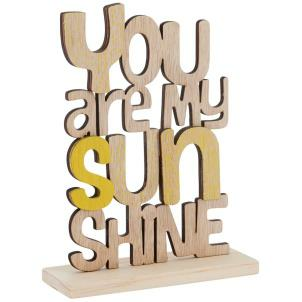 We love this beautifully cut out wooden sign reading the popular saying "you are my sunshine". It is mainly natural wood in colour, with some letters coloured in a lovely yellow. A great gift for someone you think the world of, be it a child, partner, friend or parent.